As 2017 eases to a close, and we thank the stars we made it through, let us reflect on this intense and extraordinary year by handing out some wonderful awards to some fantastic games. Check out our video wrap up of today’s awards and some of our personal choices then stick around for every winner and the runners-up. Day one begins with trophies for the games with the Best Music, Best Audio, and Best Visuals. Chances are you’ve heard at least one song off the Persona 5 soundtrack even if you haven’t played the game. Maybe you’ve caught the high-energy blast of “Wake Up, Get Up, Get Out There,” the nightlife pulse of “Layer Cake,” or the slow jam of “Beneath the Mask.” It’s likely, though, you’ve at least heard one of the iconic battle themes, such as “Rivers in the Desert,” or, of course, “Last Surprise.” No matter your taste, Persona 5 boasts a wealth of catchy, engaging, and atmospheric tunes that all go a long way in cementing the unique eye and ear-catching style of the game. Composed by series veteran Shoji Meguro, Persona 5’s soundtrack still feels fresh after over 100 hours of gameplay, which is no small feat. The size, extensiveness, and variety of Persona 5’s music is topped only by its quality, which never misses a step. Even if you don’t believe in the Phantom Thieves, you can believe in their taste in music. V3 continues the trend of previous Danganronpa titles, punctuating tense moments with killer songs that keep you on the edge of your seat. A special shout-out must be given to “Rise and Shine, Ursine” for having the wildest lyrics in the history of music. Games are often content for their audio to be merely functional, but what Ninja Theory have done with Hellblade is truly breathtaking. From the quiet, almost imperceptible sounds of running water, to violent gusts of wind, it doesn’t take long for Hellblade to establish itself as a masterwork of audio design, and from there the game continues to build upon its soundscapes in unique ways that games as a medium have typically ignored. Hellblade’s use of binaural audio creates an unparalleled sense of spacial awareness, while simultaneously ramping up the tension and disquiet crucial to the game’s narrative experience. From clues on how to progress, to jibes and insults flung Senua’s way from the disembodied voices of the ether, Hellblade’s audio intertwines with gameplay like none other, and raises the bar ever higher for everyone else. 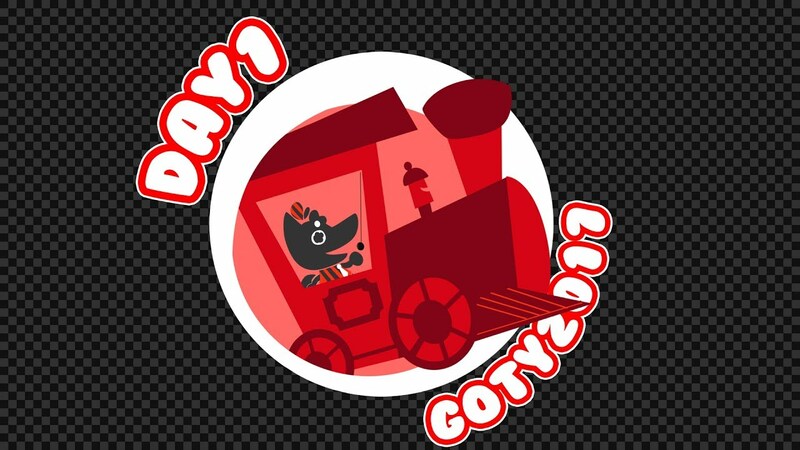 The audio design of Night in the Woods brings the town of Possum Springs to life through “hand-made” sounds so charming and distinct that the game is unimaginable without them. From plucking power lines to ghostly musicians, Night in the Woods owes a sizeable amount of its unmistakable atmosphere simply to sound design. The plunks of the weapons, the plinks of the bullets, and the wonderfully muffled and messy audio all add to the already astounding look of Cuphead. It all serves to reinforce the whimsical and cartoony setting. Cuphead just shouldn’t be. Somehow a game that looks remarkably like 1930s cartoons cannot exist. For years we’ve praised games for approaching modern graphics with a sharp attention to detail or a distinct and kickass style. Cuphead breaks loose and sets its own standard. The harsh early era cartoony style doesn’t just look fantastic either, they serve to reinforce the difficult and frustrating gameplay. Each boss animates into a monstrous version of itself and the old and grainy aesthetic makes the entire package feel well worn. Despite that it’s always a joy to just see Cuphead. Every single inch of this game that is worth witnessing. 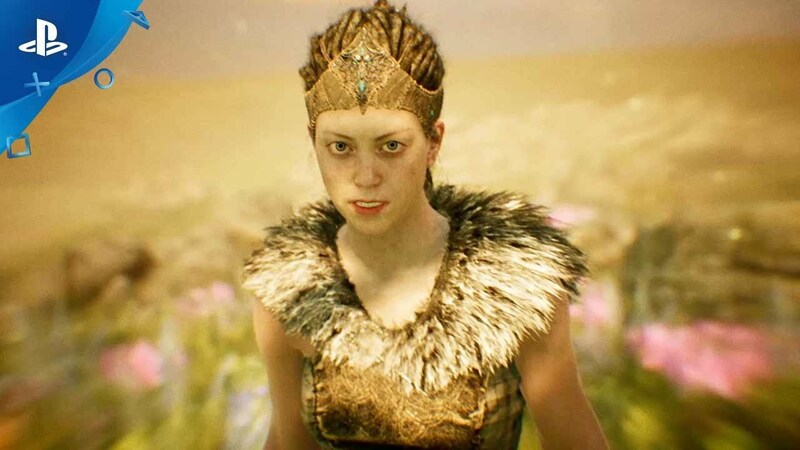 With its amazingly realistic facial capture, which takes games as close to climbing out the other side of the uncanny valley as we’ve yet gotten, Hellblade is potentially the best looking game of the year from a purely technical standpoint. It’s not just a technical powerhouse though; boasting some surprisingly beautiful and macabre art direction that feeds into its narrative themes with great effect. Persona 5 oozes style, especially in its presentation. From slick menus, shadowy environments, and amazing character design, you’ll always have something nice to look at while you’re saving the world from corruption. Persona 5’s music is so freakin’ iconic. Like, I haven’t even played it yet and the theme song is stuck in my head constantly.